There is a growing body of evidence to support the arts as making a powerful, positive contribution to the lives, health, and wellbeing of those in hospital. For patients, visitors and staff alike, the arts offer many benefits. Recently, the Welsh NHS Confederation found that access to, and participation in, the arts can improve health outcomes and patient wellbeing, counter inequalities and facilitate social engagement. 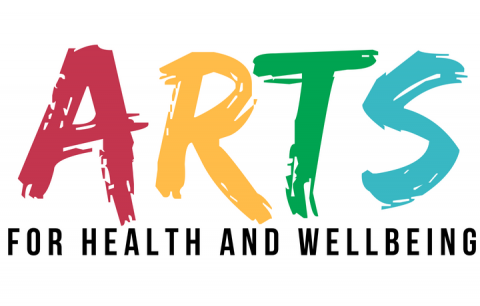 Working alongside The Arts Council of Wales, the confederation found there to be four key areas in which the positive health impact of the arts could be seen. Incorporating the arts into healthcare settings benefits patients as they have the ability to relieve patients’ anxiety and decrease their perception of pain thereby facilitating their recovery both mentally and physically. In secondary care settings, patients can often feel as though they are out of control. The presence of art can alleviate this feeling by providing opportunities for expression while simultaneously reducing stress and feelings of isolation. Research reviewed by the Arts Council of Wales and the Welsh NHS Confederation has shown that interaction with the arts can reduce patients’ use of pain medication, reduce their length of stay in hospital and improve their compliance with recommended treatments. By using art, we are able to create more stimulating and more supportive environments. Arts can play a role in everything about a space: architecture, art on the walls, the flow of natural light, the inclusion of nature, and the sound you’re exposed to. The physical environments to which patients are subjected during their time in secondary care has a significant impact on the stress and mood of that patient and enhancing the environment with art can enhance patient wellbeing outcomes. The evidence from the Welsh NHS Confederation also suggests that attractive spaces improves staff job satisfaction. Research has shown that arts initiatives supported by the health sector can have positive impacts on the wider community as they support wellness activities and can be used to promote preventative health messages as well as increasing people’s knowledge, self-confidence and help them to develop better coping mechanisms.